Not that long ago, maintaining your pool required a fair amount of personal attention and effort. Managing pool chemistry, maintaining the filter and cleaning the pool and surrounding area were some of the tasks that pool owners wanted to minimize in favor of having more time to relax and reap the benefits of their pool investment. Today, exciting new technologies are delivering on the promise of more time for fun and relaxation. Some of these include mobile integration, programmable control systems and new product designs that handle operation and maintenance with ease. They all make pool ownership simpler and more enjoyable. As our lives become more wired and plugged into advanced communications technologies, pool management is following in step. With the integration of mobile apps to your automation system, you can monitor and control your pool from virtually anywhere in the world. Pentair’s ScreenLogic2® Interface can control the IntelliTouch® and EasyTouch® Automation Systems, locally or remotely, via Wi-Fi or cellular. The app was engineered by Pentair for use with mobile devices and even the Apple Watch® wrist wearable device. It provides a simple, intuitive interface that enables users to easily and conveniently monitor and control water temperature, lighting, fountains, waterfalls and other pool features. This combination of pool automation and mobile app technology allows for quick, simple and customizable information display and control. Cloud-based pool system control is not limited to Apple’s iOS™ mobile operating systems. 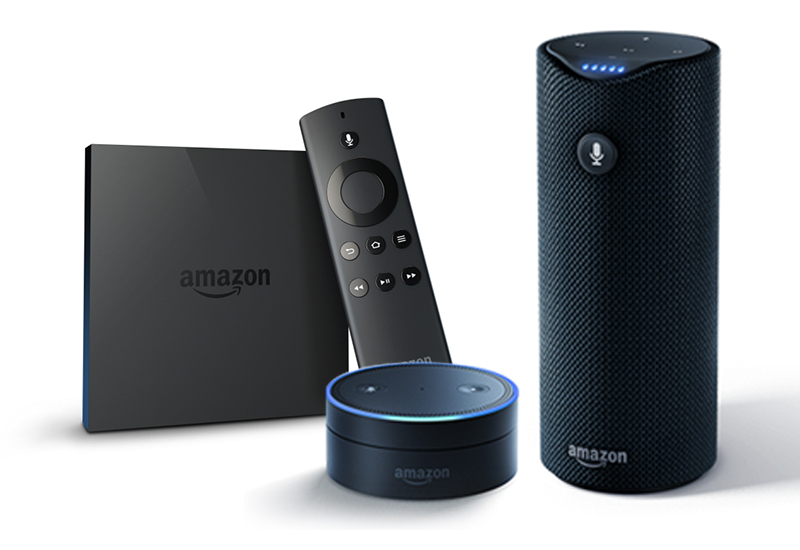 Devices like the Amazon Echo™ and its smaller cousins, Amazon Tap™ and Amazon Echo Dot™, as well as Amazon Fire™ TV, provide other access points to voice-activated control of the world around you, including your swimming pool. With a compatible pool automation system, you can instruct Alexa to ask for your current water temperature or to turn on your spa. New technologies are making it possible to program, control and monitor every aspect of a pool’s operation. They also allow for reductions in energy use, chemical requirements and emissions. And, much of this can be done with a cachet few imagined even a decade ago. Today’s water chemistry controllers can automatically monitor chemistry levels and dispense the appropriate amount of sanitizer and water balance products. For sanitizing, some devices, like Pentair’s iChlor™ and IntelliChlor® Salt Chlorine Generators, automatically produce chlorine from salt. This eliminates the need to buy, store and add harsh chlorine products manually. And, fewer resources are used in the production, packaging and transportation of chlorine. Chlorine generators and automatic chemical dispensers have been commonly used in pools for decades. Now, you can ask Alexa to manage it all for you. “She” can report on pH, ORP and salt levels for pools equipped with compatible chemical controllers, making it even easier to care for pool and spa water. As you’re thinking about what equipment you want for your pool environment, new technology has made the selection process easier. Now it’s possible to evaluate the most important features and benefits of different pumps, cleaners, filters and heaters, as well as use interactive calculators that demonstrate the energy savings potential of different combinations of products. Pentair has enabled this capability in the form of the Pool IQ™ App for your iPad, and it’s being developed for additional platforms. One of Pool IQ’s most powerful features is the Automation Selector Tool, which is very useful when designing a new backyard oasis or considering an upgrade. First, users enter information, including the pool’s size, water features and desired control options. Then, the app will run a unique algorithm and recommend the most appropriate control systems. Think back to the many reasons you were first interested in a pool or spa. You wanted to relax poolside with family and friends, enjoy cookouts with neighbors or take in the soothing sounds of magical waterfalls. You wanted to get more out of your weekend without adding too much effort. Thankfully new technology has revolutionized the pool care experience. Decades of commitment to reliable, technologically advanced and energy-efficient pool products has built Pentair’s reputation as the pool industry’s global leader. We’ve revolutionized the pool industry with innovative and high-performance pool pumps, filters, heaters, cleaners, lights, automation systems and more. Each product is expertly engineered and crafted with pool and spa owners in mind and adheres to our strict standards for quality performance and design. Apple Watch®, iPhone®, iPad®, and iOS™ are trademarks and/or registered trademarks of Apple, Inc. in the United States and/or other countries. Amazon Echo™, Amazon Echo Dot™, Amazon Fire™, Amazon Tap™ and Alexa are trademarks of Amazon Technologies, Inc.